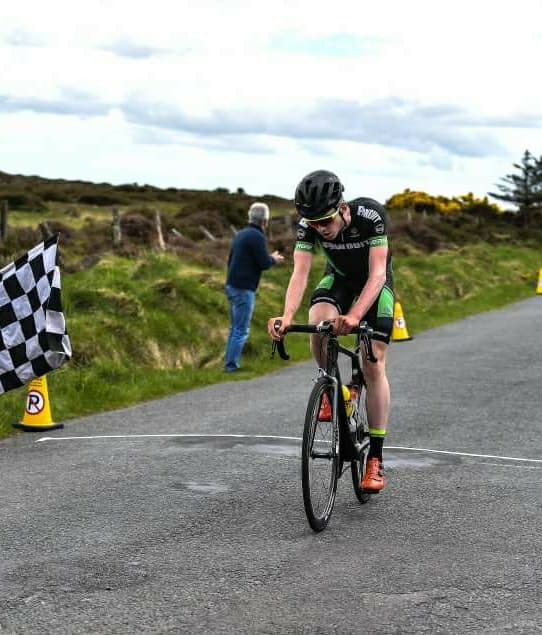 On the last weekend before the start of Rás Tailteann 2018, the riders were in action in Bray, Co. Wicklow for the Shay Elliot Memorial. The race, 156km in length, attracted riders from all over the country in preparation for next week. At the finish line our own Cathal Purcell fought it out to take third place. The race started at a pretty relaxed pace. A few moves went off the front but nothing ever really stuck. It was during the second of three laps of a circuit, that a large move went up the road. Sensing the danger, Purcell went on the attack with a few others and made it across to what would be, the winning move. At the end of the circuits, the race headed for the main attraction of the day, the Shay Elliott climb from Glenmalure. Here the break of around fifteen was trimmed to just six. Of those six, three riders were of the same team and the rest, including Purcell, were isolated. On the hard run into the finish, the group worked quite well and held a gap of around two minutes to the closest challengers and over four minutes to the peleton. In the final kilometres the group of six shattered to ones and twos with a series of attacks. Unfortunately, the eventual winner caught everyone by surprise with a powerful attack 5 km out and rode away with his teammate to win, while Purcell held on for a hard fought third place on the podium. On Sunday next, the Rás Tailteann begins in Drogheda, Co. Louth. This is the only UCI ranked cycling race in Ireland and will take in eight stages over eight days. The team’s performances recently bodes well for an exciting week.